Meet the people behind the scenes! Each Arts Market location has its own Manager to assist you in your set up and to process your sales. We’re here to help your business grow! 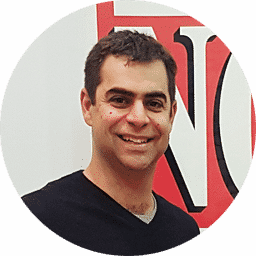 Daniel Cohen started the Arts Market to provide economical retail space to ‘Artistic Entrepreneurs’. He wanted to have a space that was centered on providing a service to artists, instead of a store that artists are serving. Over the past 6 years Daniel has had the privilege of working with some amazing people who have helped shape him into a great business owner, friend and father! Before opening the Arts Market Daniel traveled for 6 years selling his own art at various markets around the world. His longest stay was in Sydney, Australia. Whilst living in Sydney Daniel did an outdoor market called Glebe Market for almost 3 years (he was also a scooter mechanic on the side)! When Daniel isn’t working he spends time with his wife and young daughter! Stephanie has lived in Toronto since 2010 having moved to Canada upon completion of school and graduating with a degree in Multimedia Technology from the New University for the West of Scotland in 2009. 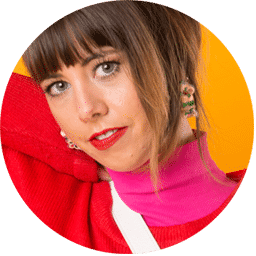 What started out as a ‘fun year abroad’ quickly escalated–6 years later she’s still here working as Operations Manager at Arts Market and living in The Junction with her beau and rescue hound, BobSnow. 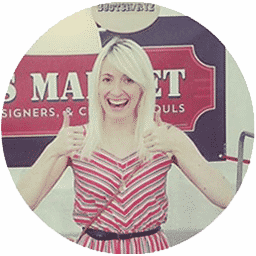 Steph enjoys working at Arts Market due to the inspiring nature and the purpose of her role. ‘It’s a great position to be in, offering local artisans and vintage vendors economical space in a low risk environment.’ At the Market, her job consists of negotiating the moving in of new artisans, Traveling Arts Market events and fundraisers for local charities and not-for-profits. She has been happily involved in the Arts Market community for over 4 years now. In her spare time, Stephanie makes jewelry, plans adventures out of the city (she’s a country girl at heart) and does DIY projects around the house – much to her partners chagrin. David is the manager of Riverside, the newest of the three Arts Market locations. 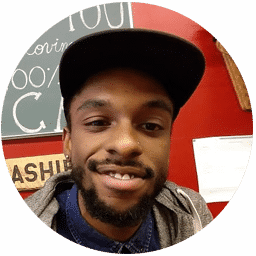 David joined Arts Market because he is passionate about cultivating communities and supporting local artists and vendors. He sees value in collaboration and enjoys working with people in order to create avenues for creative action. 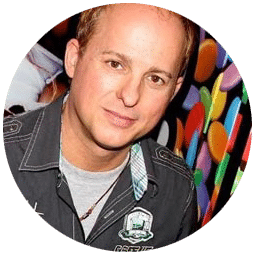 He brings several years of experience to the Arts Market, having worked with local artists and vendors in Montreal prior to moving to Toronto in 2015. As he continues at Riverside, he strives to continue making Arts Market a vital part of the Riverside and Toronto communities. When not at the Arts Market, David runs the administrative side of a small printing company, The Secret Door Print Co., with his partner. They specialize in small to large format pigment prints for artists (as you may have gathered, he loves working with creative people). On the creative side of things, David is a musician who has been playing the bagpipes and saxophone for over twenty years. Over the past year, he has been learning piano and loves composing music in his spare time. His love of music has given him the opportunity to train, compete, and perform in Canada, the U.S., and overseas. Creatively, David also enjoys making cards, small prints (mostly illustrations and screen prints) and magnets. He loves that these mediums/formats are accessible and that they allow him to explore ideas and short narratives in a playful way. He gathers inspiration for his work on his evening walks though the city with friends and family—he loves finding the hidden and obscured stories that places hold. Keep a lookout for his cards, prints, and magnets coming soon to an Arts Market near you! 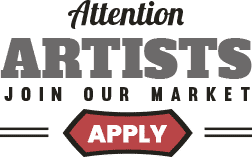 Lindsay first became involved with Arts Market as a vendor in July 2016; finding the concept fantastic and extremely excited to get started in a space that provides an outlet for artists and vendors to sell their product. Lindsay and her husband enjoy working together to create the many items they sell as Happy Peddler. Lindsay is the mother of two young ladies, and they have both accepted the fact that there is always a use for something – whether it’s to be upcycled, recycled, reused or repurposed – they’ve become accustomed to the phrase “Mum’s going to do something with that!” when finding oddities around the house. Joining the Arts Market family as the Manager of the Leslieville location, Lindsay has firsthand vendor experience and is enthusiastic to continue the fantastic work with local artists and vendors in the Leslieville community. Eli is an artist born and raised in the GTA area where he attended York University to study Visual arts and Art History. Following his time at York he worked at a variety of jobs while also developing his artistic style. He discovered Arts Market when looking for a place to sell his art where he met Daniel. Eli received a referral to a former Vendor of the Market and friend of Daniel who was looking for an assistant. After working with the artist for sometime Daniel heard good things about Eli and offered him a position at the Market. Eli is now an artist assistant and an Arts Market Sales Associate where he is able to learn about the making and selling of art professionally while he continues to develop his artistic style with hopes of one day soon opening his own booth in the Arts Market with his partner. Prior to joining the Arts Market team, you likely would have found Tara in the shop still, hunting for the perfect gift or seeking out a treasure for her home. This love for the store and it’s emphasis on supporting local artists lead to her to her role as Manager of the west end College Street location. With a former academic and professional background in provincial politics, transitioning to a creative space finally allowed Tara to re-embrace her connection with art and focus on building relationships with inspiring people. “Working in a space that encourages and emphasizes creatives to pursue their passions is a fulfilling opportunity for everyone involved!”. 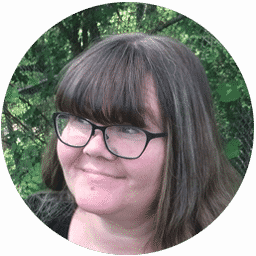 During the everyday, Tara loves to learn and design on Photoshop, create blog content, speed through the latest BBC mystery mini series, and throw on an educational audiobook or podcast before a long walk. Pop into the store and share your personal, favourite podcasts with her! I guess you can call Robbie Lawrence a Vintage Veteran. Starting his own vintage store in 1984, Robbie opened “Silverstreak” on Queen St. E. in the soon to be discovered Toronto area called Leslieville. As his store started gaining momentum, similar stores started opening around him and Leslieville soon became known as Toronto’s antique row. With a passion for buying and an eye for current trends, he filled his store with unique, functional, and sometimes quirky retro and antique treasures, and offered affordable alternatives to buying new. After 10 + years he made the decision to close up shop and focus on doing antique shows including the weekly Sunday Antique Market, which he still does every Sunday at the St. Lawrence Market. When the first Arts Market opened in Leslieville he jumped at the chance to rent a small booth to sell his vintage collectibles. That soon grew into booths in all Arts Market locations. Robbie and Arts Market owner and founder Daniel Cohen found they shared a similar passion for vintage and started “Larry’s Picks” on the lower level of the College St. Arts Market location. Weekly they scoured auctions and estates to continue bringing customers cool and reasonable vintage. Sensing a strong need in the antique and vintage community to have more places to sell, they decided to convert “Larry’s Picks” into rentable vendor booths and Vintage B. was born. Managing Vintage B. and now in it’s third year, Robbie continues to curate the space with some of Toronto’s best antique and vintage vendors, blending his years of experience with his love of vintage retail.